Tummy Store – Do I Look Sick? When I was a little girl, I was hilarious. And I’m not just tooting my own horn, either. I don’t remember being hilarious, but I’ve seen the videos and it’s true. I was a laugh riot. Baby Rachel: What’s she doing? Baby Rachel: (pointing at mom’s other breast) Is the other one apple juice? As you can see, I’m hi-larious. I wanted to share one of the most quoted Baby Rachel quotes. Some hippie people might say that I had a strong childhood intuition. Some jaded people might say this is a statement on society. I’m not sure what I think of it, except that it’s pretty funny, and I was so right. This is an accurate summation of my entire life. 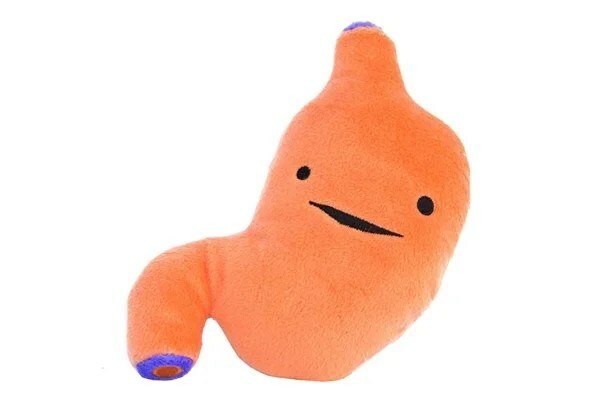 Click to buy this cute but not functional new tummy! FOR ME!!! Or yourself. Whatever. Previous Readership Thank You Giveaway WINNER! I think you are the middle child. I am too. In the photo, I’m stylin in my blue overalls. And I’m actually the eldest child. Funny story – I’m the eldest of 3 girls, and I married a man who is the eldest of 3 boys! RACHEL— YOU ARE TOOOO FUNNY— 🙂 I LOVE THE PICTURE!!! MADE ME LAUGH OUT LOUD!!! 🙂 YOUR MOTHER IS TOTALLY BEAUTIFUL!!! I love the apple juice comment.